Use the menu above for the best touring advice, downloadable routes, reviews and more! 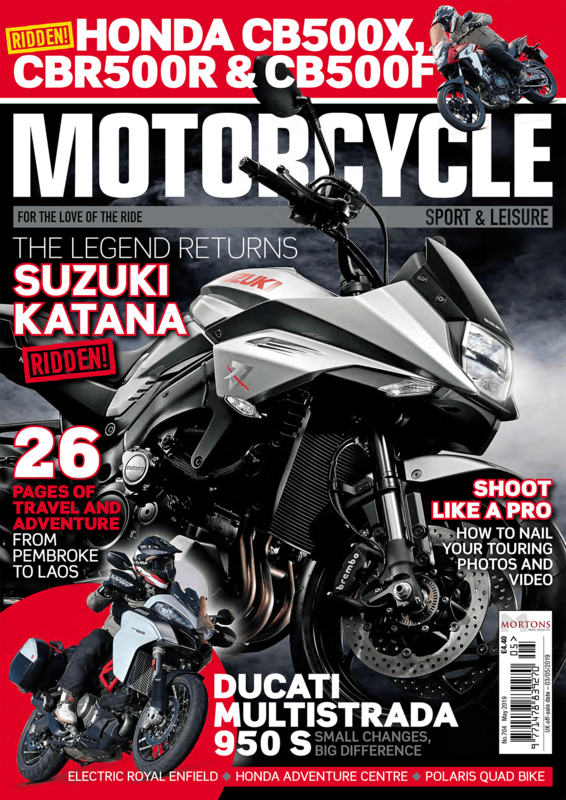 Motorcycle Sport & Leisure magazine is the original and best bike mag. Established in 1962, it’s a magazine for the more discerning rider. An in-depth read for the real-world motorcyclist, we dedicate more space than any other magazine to the most concise reviews, fascinating interviews and inspiring touring and adventure. The legend returns! From Pembroke to Laos! Ducati Multistrada 950 S! This month’s MSL has got the lot! DUCATI MULTISTRADA 950 S –The ‘small’ Multistrada has been updated for 2019. SUZUKI KATANA –Is the new Katana able to fill the big boots of it’s 80s ancestor? HONDA 500S –How different are the three new 500cc Hondas? ELECTRIC RE BULLET – This home-made electric bike could change the classic scene. Every month you can enjoy a proper read, as well as the most honest and essential kit tests out there. Why not pick up a copy of the magazine in any good supermarket or newsagent. Alternatively, you can buy a digital or print edition now, or save even more money with a subscription.